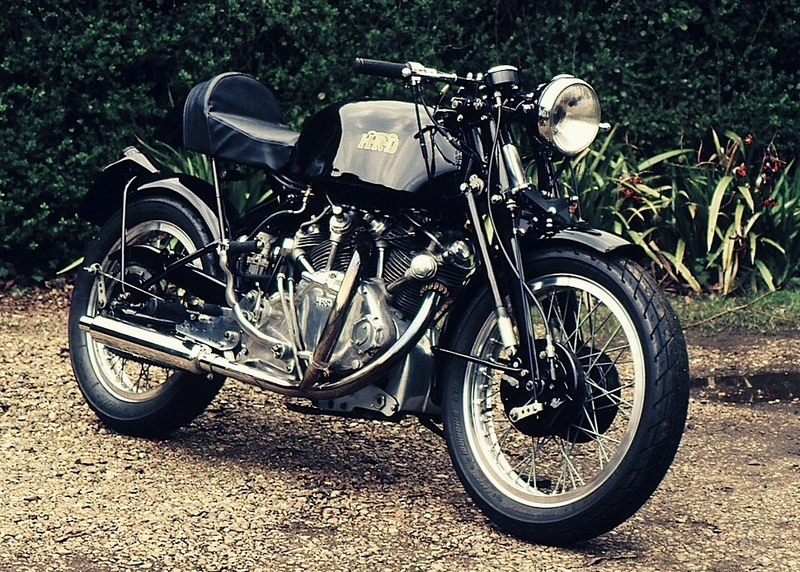 This beautiful Vincent cafe racer was built by a friendly guy by the name of Phil Lemon, he shot me over an email last week and casually mentioned that he’d built a Vincent cafe racer and asked if I’d like to see it. My finger-tips lit my keyboard on fire shooting off a reply saying ‘Yes. Yes. Yes. I would’ and a day or so later Phil sent me over the pictures you see here. 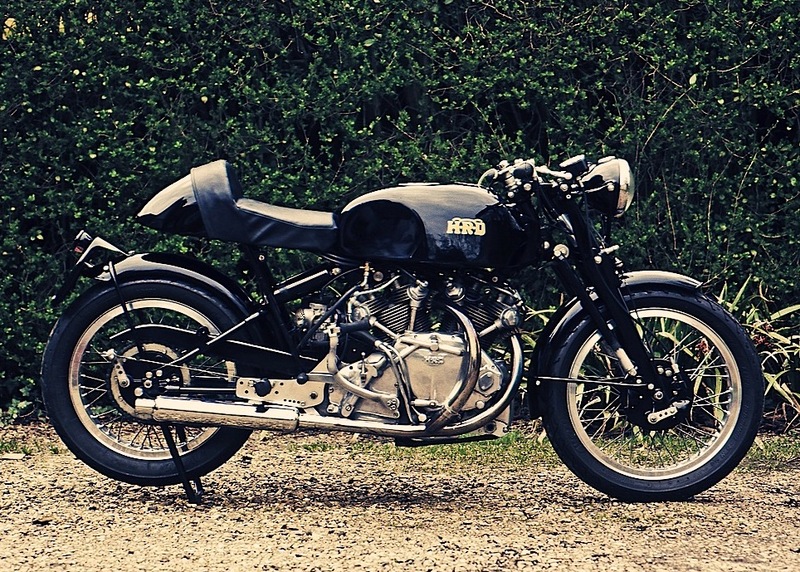 He had acquired the Vincent as a disassembled mess spread through a few boxes; all in it took Phil 8 years to slowly piece the bike together. He needed to hunt down parts from all over the UK from helpful people like the team at Conway Motors and the specialists at Raceco. The engine on the bike was kept mostly factory spec although new high compression pistons, Mk2 cams, a 12 volt electronic ignition and Amal Mk2 carburetors were added. 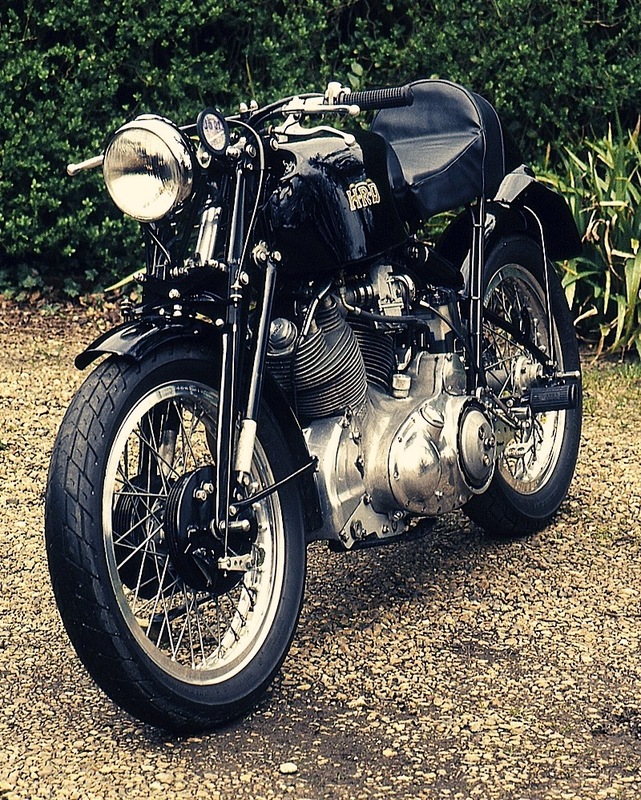 The beautiful alloy tank was supplied along with restored Vincent Girdraulic forks by Conway Motors, interestingly the fenders came from an old Moto Guzzi and the seat came from a ’70s Laverda. 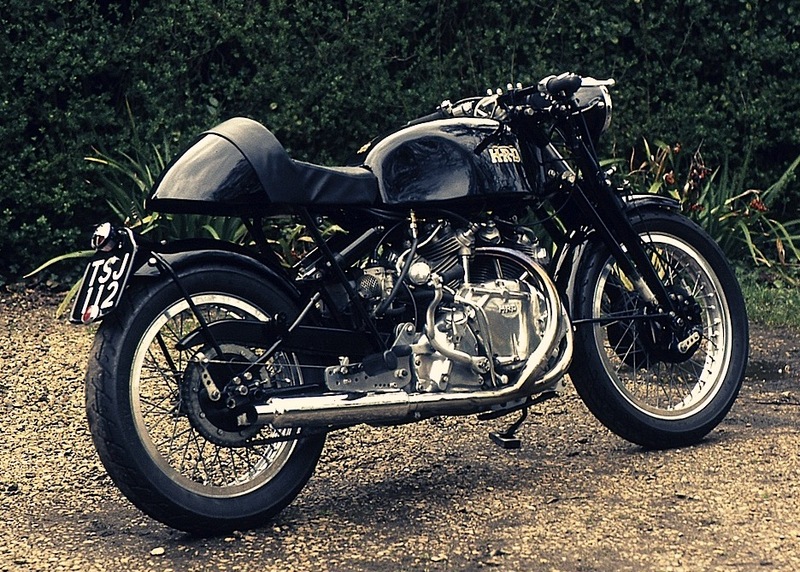 After a few happy years Phil sold the Vincent on and picked up a Ducati 900SS which was then followed by a beautiful Austin Healy 100/4, his current project is a vintage Mercedes racer (coming soon to Silodrome). I think you’ll agree with me when I say that Phil is exactly the kind of guy we all want to have a beer with. 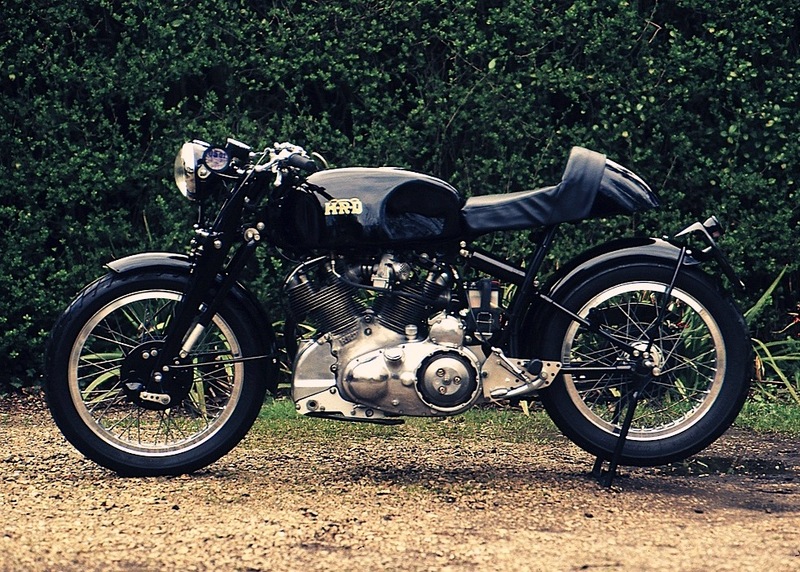 If you like this, check out Jeff Decker’s Vincent Black Lightning here.